Arif Hussain s/o M. Hussain embraced martyrdom when terrorist opened fire on him. The incident occurred in Manzoor Colony. His age was 25 years. Namaz-e-Janaza will be offered in Mehmodabad while tadfeen will be in skardu. 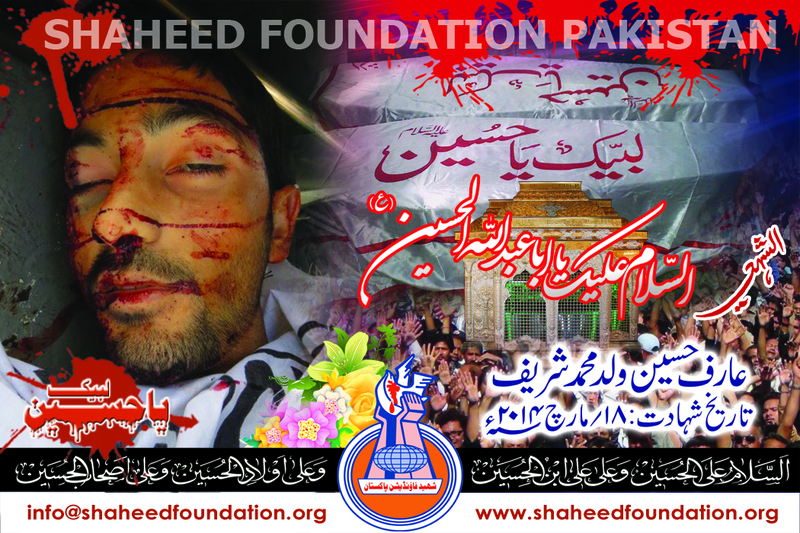 Please recite a fateha for Shaheed Arif Hussain and Shohada-e-Millat-e-Jaffaria Pakistan.